The latest announcement was made during the launch of the Honda CB300R. Honda has not specified whether every two-wheeler in its range will get fuel injection. The move will help its offerings comply with upcoming BSVI emission norms. Expect prices of Honda models to go up by Rs 3,500 to Rs 5,000. At the launch of the Honda CB300R, the Japanese two-wheeler manufacturer announced that it will soon switch over to fuel injection for its two-wheeler range. However, the company didn’t specify if every vehicle from its range will receive the update. With BSVI emission norms set to take effect from 1 April, 2020, all auto manufacturers present in the country are scrambling towards getting their vehicles ready for the more stringent emission regulations. And one way to do that is to switch over to fuel injection. Honda currently manufactures eight scooters and eleven motorcycles, of which only the CBR250R is fuel-injected. Whether Honda will switch to fuel injection for its scooters like the Activa 5G and small-capacity commuter motorcycles remains to be seen. For one, Honda’s biggest rival, Hero MotoCorp, has stated that it is possible for small capacity engines to pass the upcoming emission norms without relying on fuel injection technology. It also added that its two-wheeler range with engines below 125cc will continue to use carburettors. So the question remains whether Honda will equip its lower range, specifically 110cc scooters like the Activa 5G, Dio, Aviator, Pleasure and Cliq, with fuel injection technology. Adding fuel injection will add to the retail price of the scooter. By how much? Suzuki sells the Gixxer SF in both carburetted and fuel-injected guise and the difference between them is around Rs 3,000. 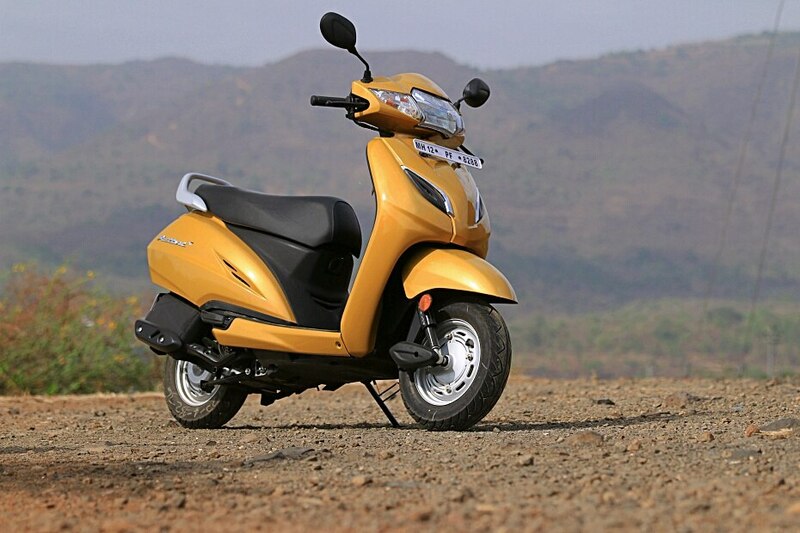 On an average, Honda sells almost 3 lakh units of the Activa per month. If you consider its other small-capacity models, the sales figure jumps up exponentially. Considering the economies of scale, it is possible for Honda to implement fuel injection technology at a far lower cost and that could theoretically account for a small jump in price. Will they do it? Stay tuned to know more.